Curious to find out which of the new character-specific dice in Super Mario Party was the best, a math teacher in Ohio decided to research their underlying statistics. While he found that some characters are better for rolling higher numbers on average, the game is overall too random for character choice to always matter. The more interesting takeaway has to do with the variance, or how dramatically characters’ individual dice rolls differ from their average. Donkey Kong, for instance, though his average die roll is in the center of the pack, has a variance of 26.67. That’s a reflection of the fact that while he’s averaging 3.33 spaces per turn over the course of a game, his actual turn-by-turn rolls fluctuate between 0 and 10. He’s either not moving at all or moving a ton. “I was surprised that there was so much variation character to character, and such a large swing between fan favorites (eg. Yoshi having an average of 3.17 and Bowser having an average of 4.67),” Wayne said in an email to Kotaku. He doesn’t think that means people should only be picking Bowser, though. 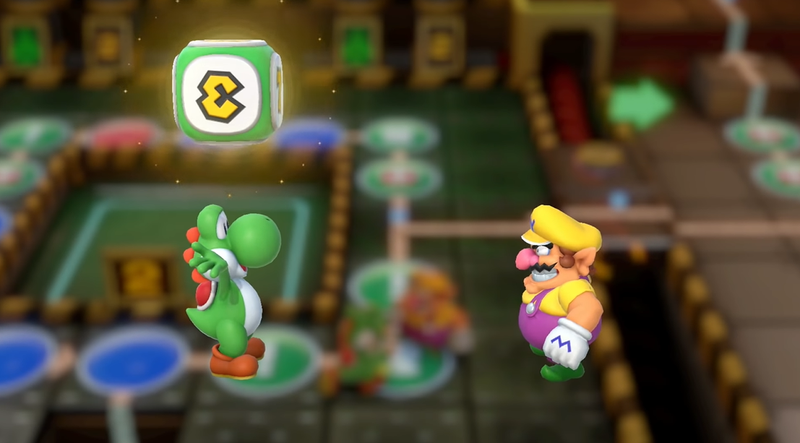 While it’s not enough to transform Mario Party into a game of sheer skill, it does add a nice layer of light strategizing that lets people approach the game differently. Of course, as I said in Kotaku’s VG chat about the game earlier today, I’d like to see the series adopt even more RPG mechanics and go full-blown D&D, but for now unique dice will have to suffice.